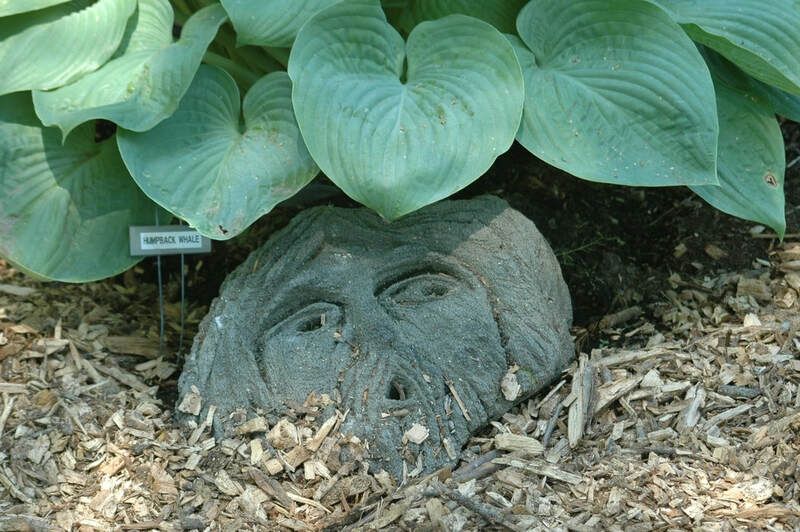 Devoted to hosta and the gardeners who appreciate them. 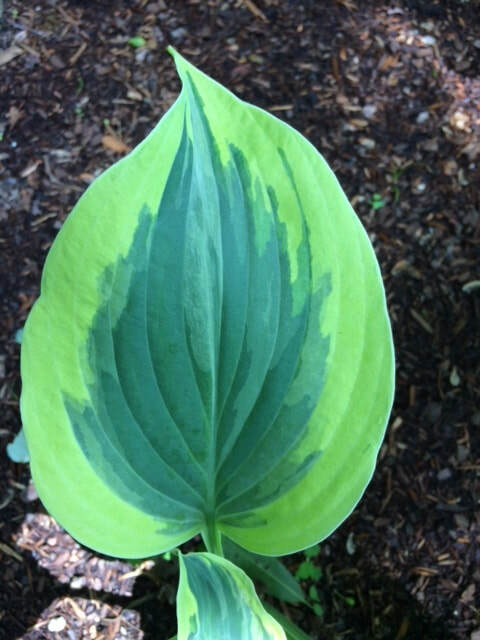 The New England Hosta Society is a non profit educational society organized to promote, encourage, and foster the development and improvement of Hosta and the public interest therein. serving as the first President of NEHS (more about our Heritage is provided below). ​The Society Meets at Tower Hill Botanic Garden, Boylston, MA. We deliver great educational programing and fun events to members and the plant-loving public. an upcoming event, or send along a note to info@nehosta.org. Where it all began! Frances Ropes Williams was born on July 23, 1882 and died in October 1969, at the age of 86. She grew up in Salem, Massachusetts, and was long time resident of nearby Winchester with her husband Stillman P. Williams. 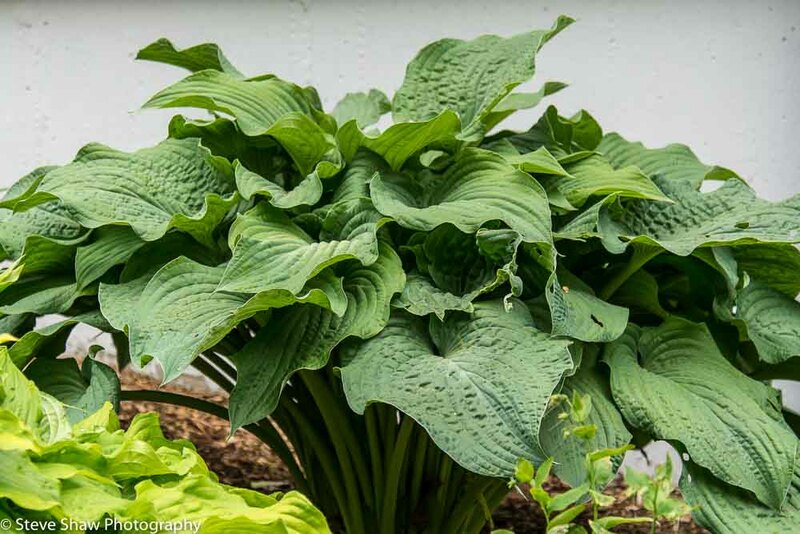 She began hybridizing hostas in the 1950s and was recognized as one of the first major hosta hybridizers in the United States, undoubtedly because both she and her daughter, Constance "Connie" Williams were meticulous record keepers. ​The influence of Frances Williams on the world of hostas, especially through her daughter, can hardly be overemphasized. 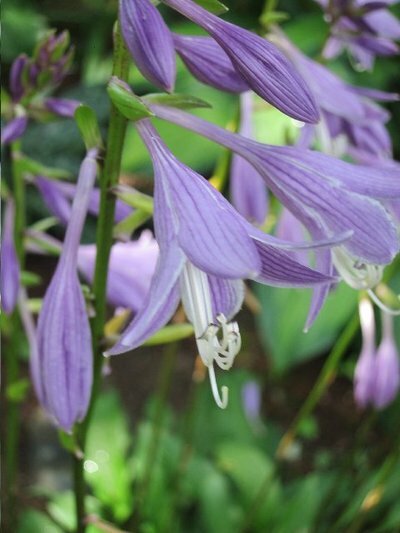 Some time after Frances' death, Constance became a founder and first President of the New England Hosta Society, which was established in 1982. 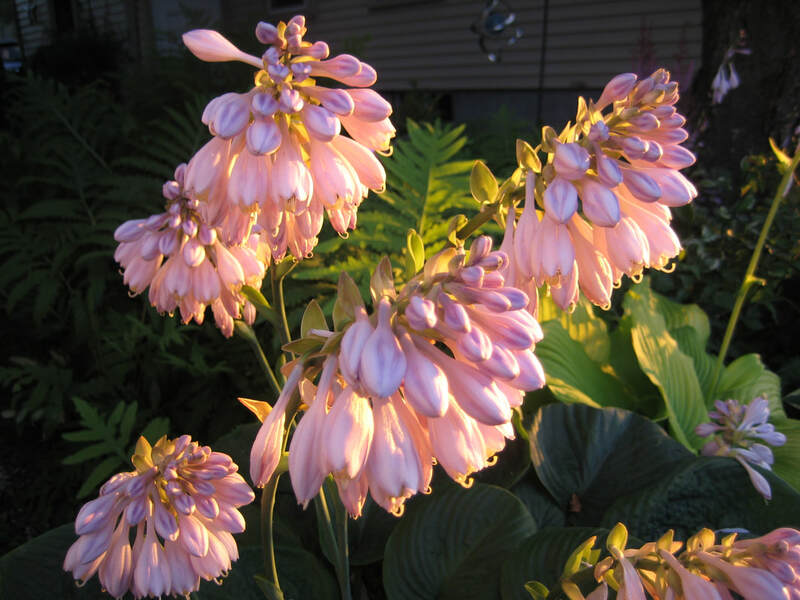 Connie continued the dedicated work of her mother as she corresponded with many hosta enthusiasts, donated the massive records of her mother to the Anderson Horticultural Library at the Minnesota Landscape Arboretum and registered most of her mother's hosta. ​Frances Williams was active in the Herb Society of America and became the curator of its Herbarium. In 1952, she received the first Award of Merit given by the Society and in 1959, the New England unit of the Society made her an honorary member. Probably through this connection Mrs. Williams donated hostas to the hosta garden at the Case Estates of the Arnold Arboretum of Harvard University, in Weston, Massachusetts. ​Frances Williams exhibited at the shows of the Massachusetts Horticulture Society where she won awards, including a bronze medal in 1953. 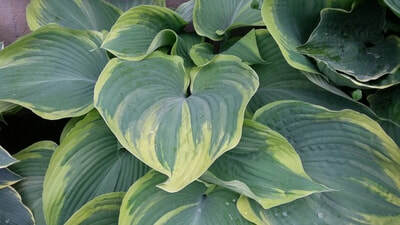 In the summer of 1969, she received a citation from the newly established American Hosta Society "for inspiring others with the love of hostas". 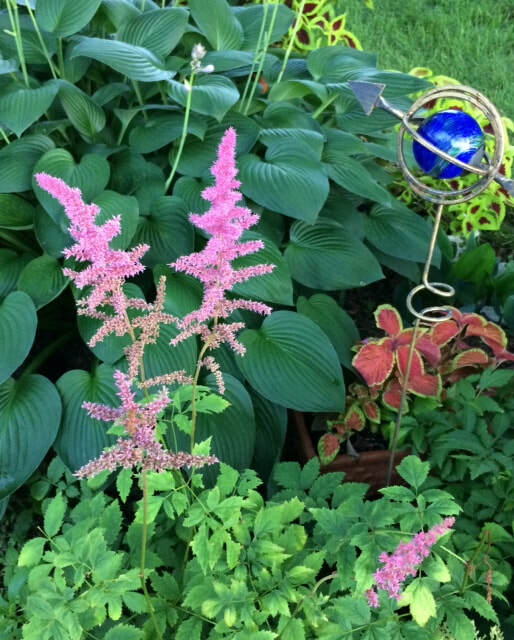 Her photos appeared in The Genus Hosta in Swedish Gardens and her articles were printed in the Brooklyn Botanic Gardens' Plants and Gardens and in other gardening magazines. The discovery and naming of H. 'Frances Williams' is often repeated, by fortunately, we have the story from Connie's records that subsequently led to discovering H. 'Yellow Edge', later named H. 'Frances Williams'. This give us an insight into the difficulties hybridizers have faced. Frances Williams was a very vigorous and active woman up until her death. 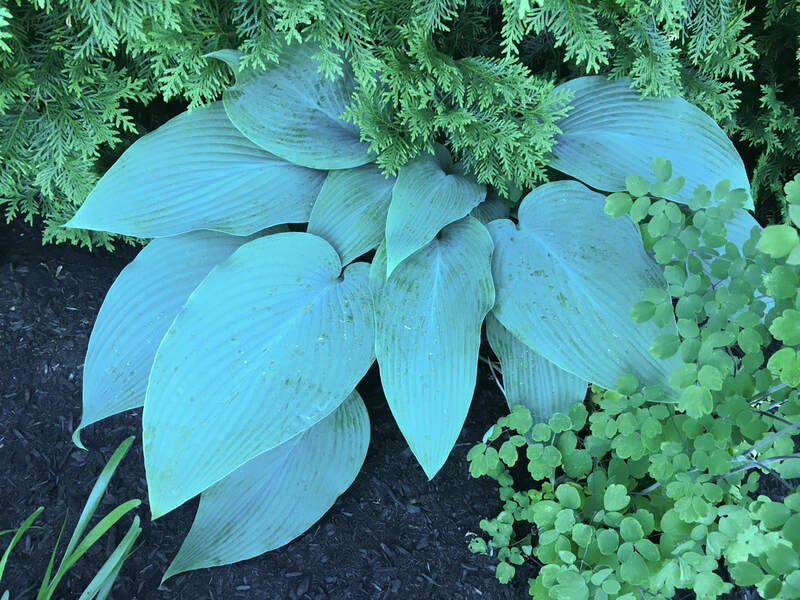 The following list of Frances Williams' hostas is a testament to her hybridizing success and to our New England Hosta heritage. Four hostas remember her great-grandmother, granddaughter and two daughters (H. 'Betsy King', H. 'Carol', H. 'Connie', H. "Louisa'). H. 'Beatrice', H. 'Betsy King', H. 'Carol', H. 'Charldon', H. 'Connie', H. "Dorothy', H. 'Frances Williams', H. 'Green Piecrust', H. 'Green Ripples', H. 'Louisa', H. 'Sentinels', H. 'Sprite', H. 'Sunlight. Steve Greene receives the Alex J Summers Distinguished Merit Award at the 2018 AHS Convention in Philadellphia. AHS President Gregg Peterson, and VP of Awards & Honors, Paula Lehtola, present Steve with the award . 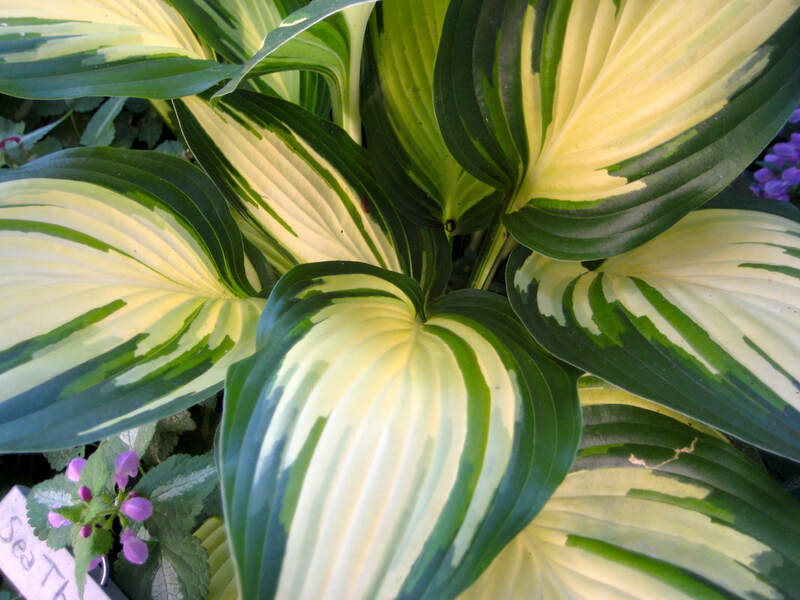 Steve chose H. Reflected Glory as his Distinguished Merit Hosta. Steve is the fourth NEHS member to receive this honor. Additional officers supporting 1st President, Constance Williams include: Vice President Mabel Herwig, Secretary Mildred Seaver, and Treasurer Carl Calderara.